Wishing everyone a happy Friday! I went to the gym this week & that deserves a pat on the back. I did some reading. I did some stretching. It felt good simply to be able to spend some time alone & take care of myself. 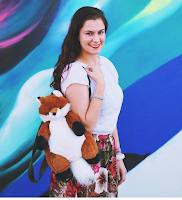 As if that wasn't enough, here are five more things I'm loving right now! Candles are my jam. Come on, you know this. I happened upon a variety of drink scented ones & obviously had to give it a go. There were Gin, Whiskey, & Bourbon scents. I opted for Whiskey simply because it smelled the best. It has a sweet honey scent to it. 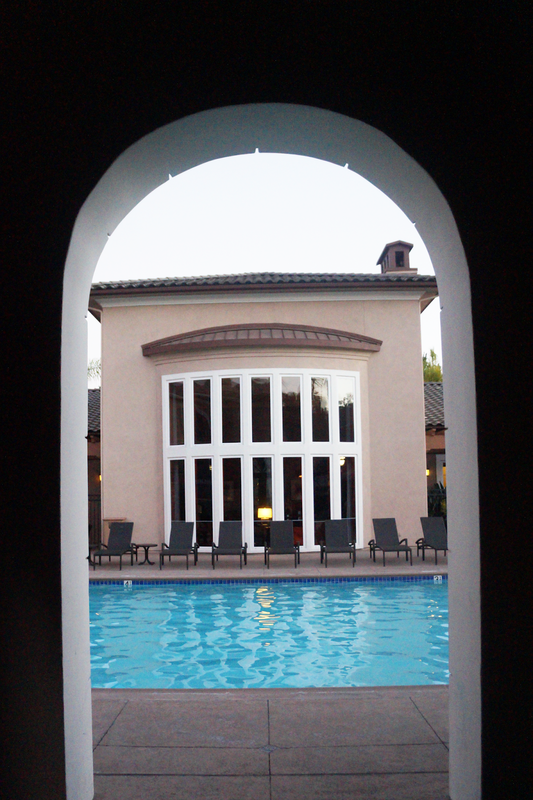 I love the slow, subtle transition to autumn here in sunny Southern California. At the moment it's just a bit cloudy, but I'll take it. I thoroughly enjoy those gloomy days & grasp onto them whenever I can get them. Fred & I just finished watching Alias, which is good timing because Netflix is taking it off on September 25. We truly loved this show with all its crazy twists & turns (& a young Bradley Cooper). It was well written & captivating. The story line always kept things interesting, & it was cool to watch the character development as the seasons progressed. Highly recommend! It's a joy to have extra time to make a nice breakfast, something other than oatmeal or cereal. I made a stack of thick French toast to share with Fred, layering blueberries & a drizzle of pure maple syrup between each piece. It was just magnificent. He sipped on some tea while I drank a homemade mocha. Shoutout to Snapchat filters because they totally make me look awesome! 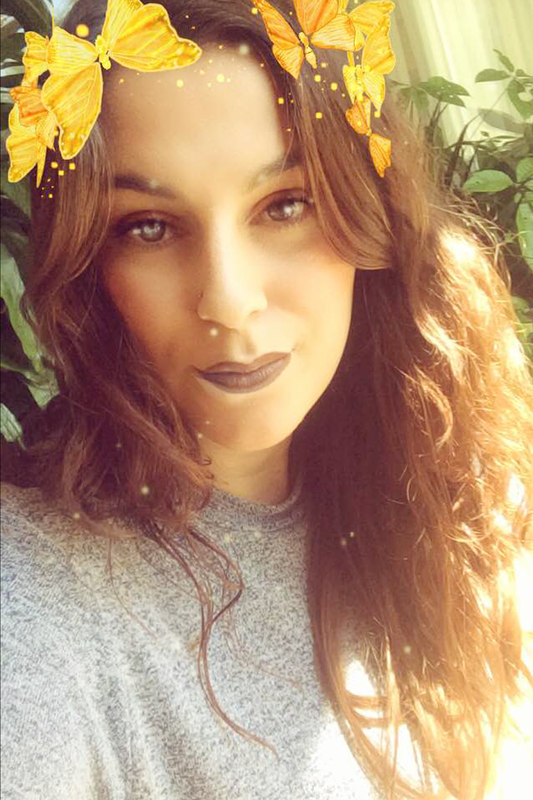 I'm loving this butterfly filter because of its tendency to make me look 100 times better. It's smoothes the skin, gives me a rosy glow, makes me look more awake. Sounds pretty legit, right? *this is me high fiving you through this comment* because girly candles are the bomb dot com! I myself have already been lighting that new yankee candle crisp fall night scent! Get it girl! 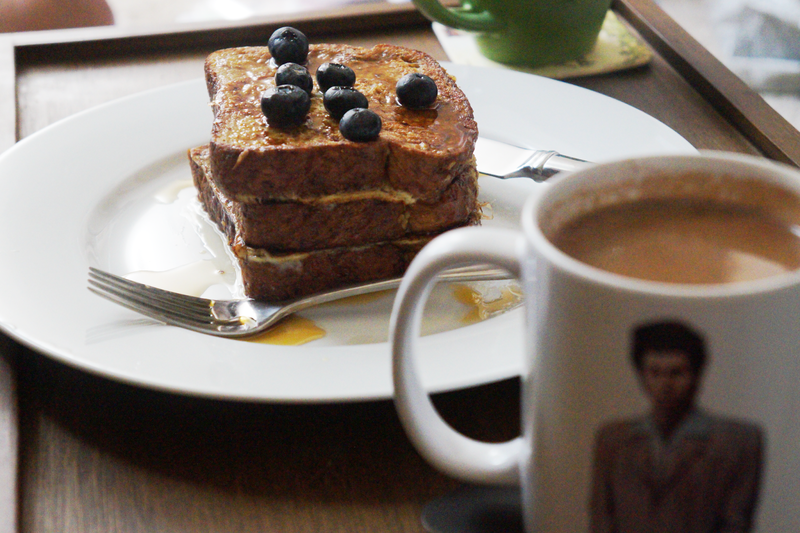 I know what you mean about taking the extra time to make yourself a tasty breakfast. I started doing that for myself every Saturday morning, and I look forward to it greatly each week! I'm loving that Kramer mug, haha! And the drink scented candles sound really cool, they sound like really great candles for chillier weather for some reason! I'm kind of loving the weather we're having this week. It's very warm (though maybe a bit too humid) and it's nice to have summer for a bit longer! I love candles as well, i have them in every room in my house , and each room has its own fragrance from the scent they release. Great posts and hope you're having a lovely weekend. Lovely post! I love seeing what people are loving! Thanks for sharing! Great post. I love autumn - it's just so cozy! I am loving gingerbread green tea at the moment, it's really getting me into the autumn spirit! Totally agree with you on the transitioning thing! Can´t wait to shop for some new fall clothes! PS:I´m hosting this super big giveway where you can win tickets for Justin Bieber (http://bit.ly/2aXhOr4) / all you have to do is to vote for me for the bloglovin awards here: http://www.bloglovin.com/awards/fashion_blogger_of_the_year / I hope you will join! Great post, I love candles in Fall too! I just started going crazy with my fall candles and I love them SO MUCH. My favorite is to burn a pumpkin cupcake candle at the same time as a french vanilla candle. So yummy! 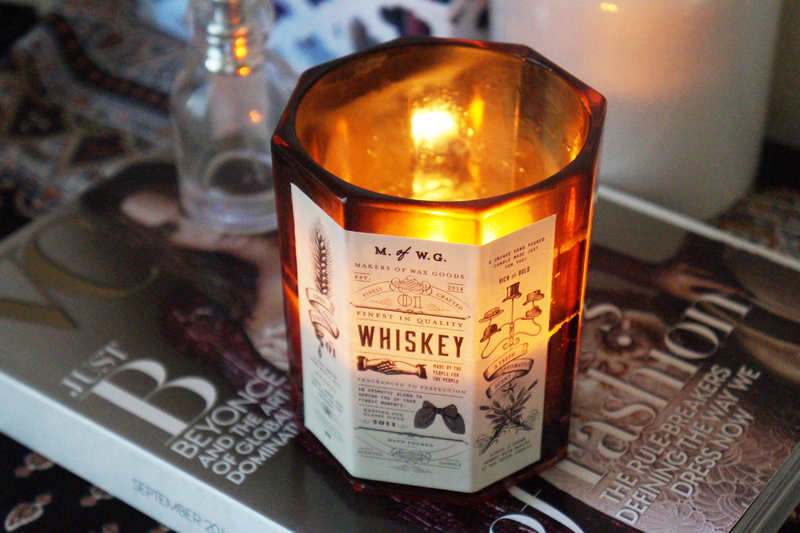 That Whisky candle looks sooo pretty and it sounds like it smells amazing. Also, you look super adorable in that snapchat filter! Who wouldn't love Bradly cooper at any age? Too true! I love whiskey ANYTHING and french toast is also my jam. This list is perfect. That snapchat filter is 100% the best one, and you look great. Also I'll take French Toast at any time.